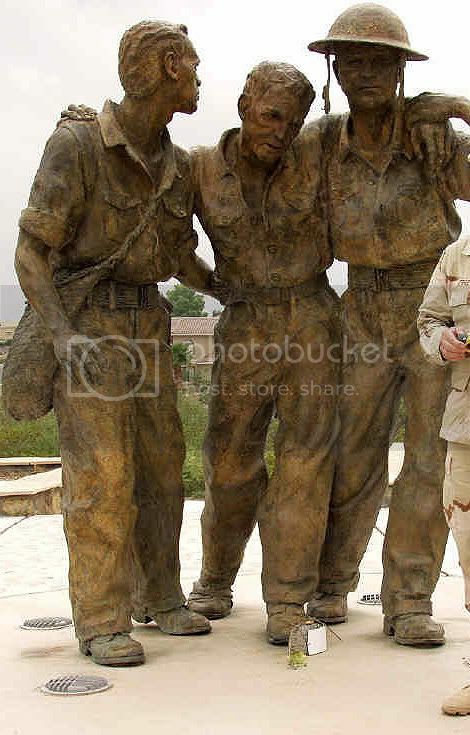 The Statue represents two brothers from New Mexico Regt. which lost more men in Bataan than other US Army units. And the very last US Regt. to surrender. The life-size statue, rendered in bronze by noted sculptor Sandra M. Storm, sits atop a black granite pedestal and base. 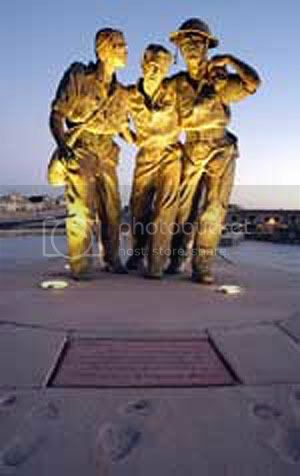 It consists of three stark figures: an American G.I. 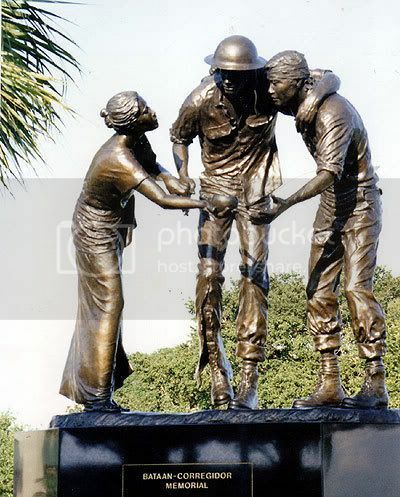 and a Filipino soldier propping up each other, while a Filipina woman offers water and solace during the gruesome Bataan Death March. Flanked by Old Glory and the Filipino flag, it depicts lasting friendship that was forged with blood in all the wars in which Americans and Filipinos fought and died side-by-side. 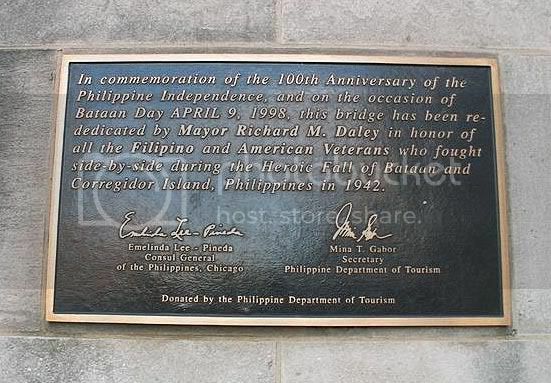 Date of Dedication: The plaque was first dedicated in 1948 and then rededicated by Mayor Richard M. Daley on the 100th anniversary of Philippine Independence, and on the occasion of Bataan Day (April 9, 1998). 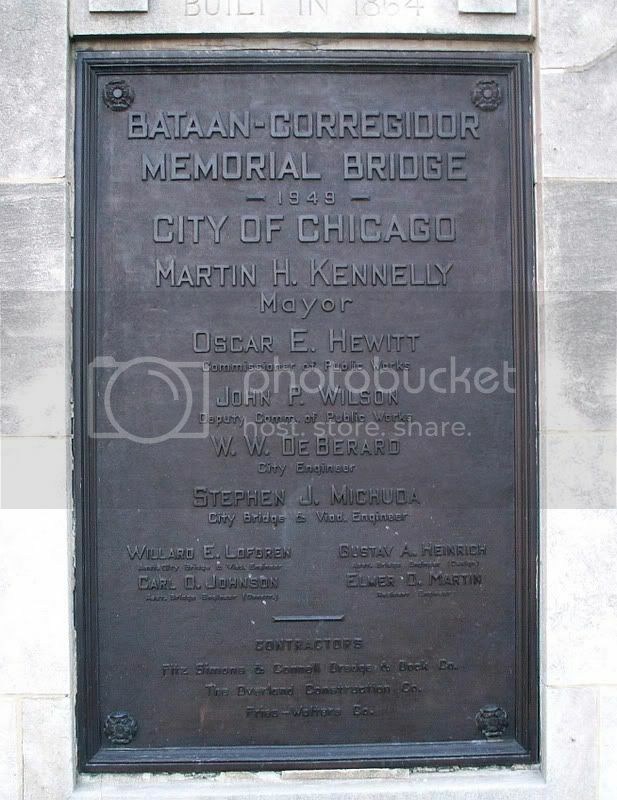 The plaque reads: "Dedicated to the memory of those gallant heroes from the Chicago area who were members of the besieged garrison on the Bataan peninsula and at Corregidor, Philippine Islands in World War II. May the courage and fortitude displayed by this group in the face of adversity be a constant inspiration to our citizens." 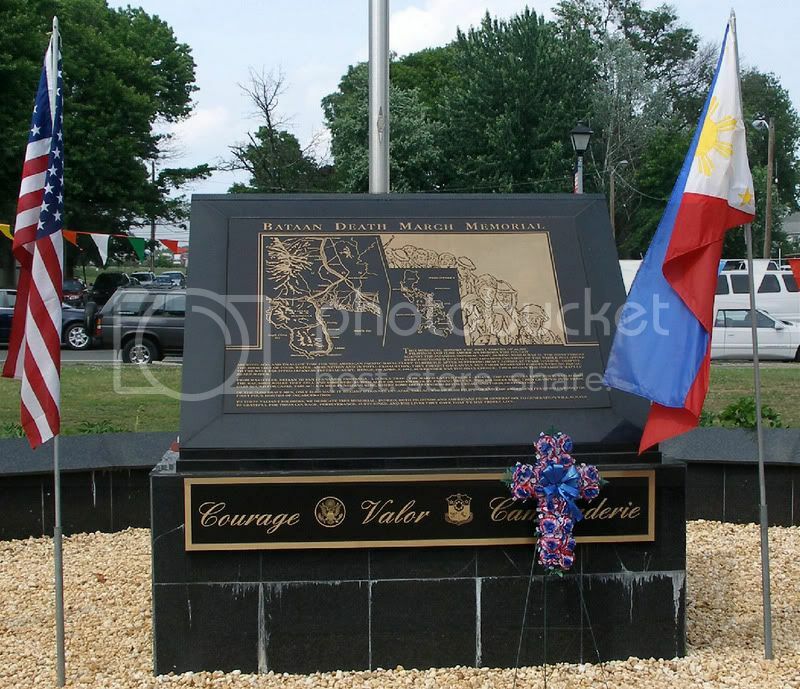 Located in Cooper River Park, Pennsauken, New Jersey, is the Jose Rizal Monument along with the Bataan Death March Memorial. 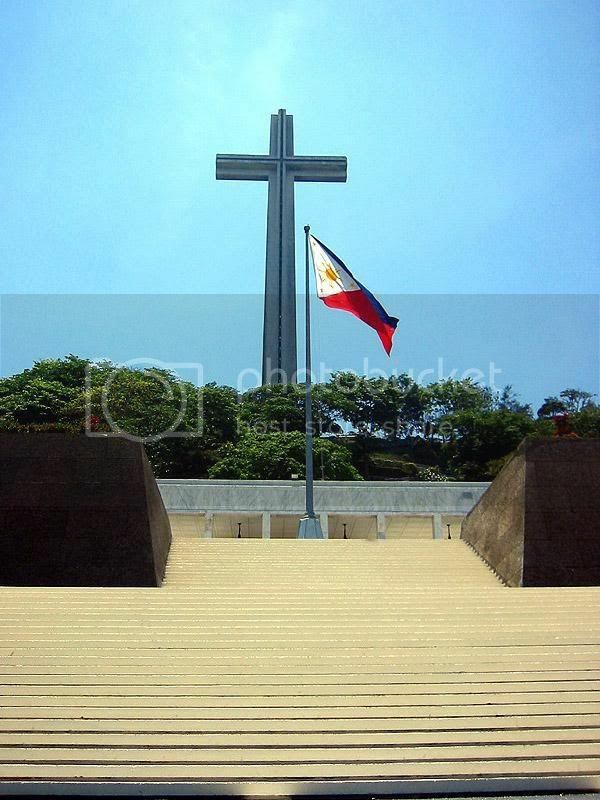 You are welcome to add any new Bataan or Corregidor memorials too. Philip, another big thanks for these information and photos. Everytime you post I learn something new. Cheers. 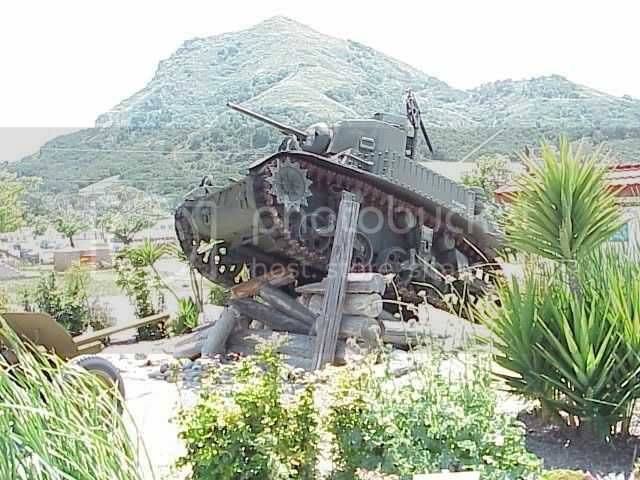 "At a Roadblock on the Road to Bataan"
Sergeant Emil S. Morello, in the second tank, drove around the disabled tank and ran over the antitank gun. 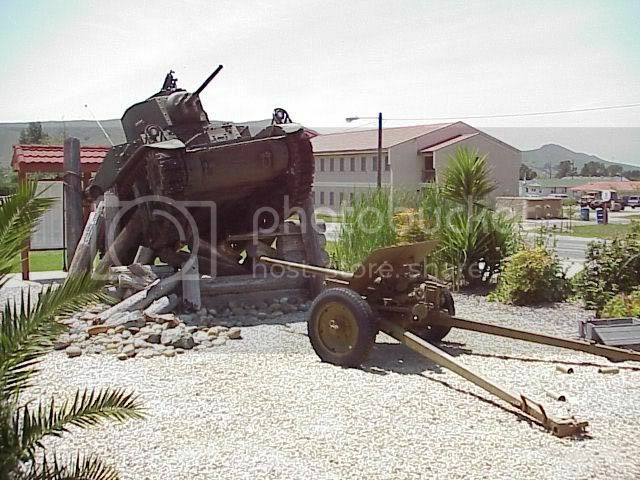 In all, five tanks were hit and immobilized. Sergeant Morello and four wounded stayed buttoned up inside their tanks, not daring to move because the Japanese had camped for the night alongside the tanks, unaware that anyone inside was alive. In the morning, the enemy left, and Sergeant Morello began tending the casualties. He gathered up five wounded, and they escaped through coconut groves and rice paddies. 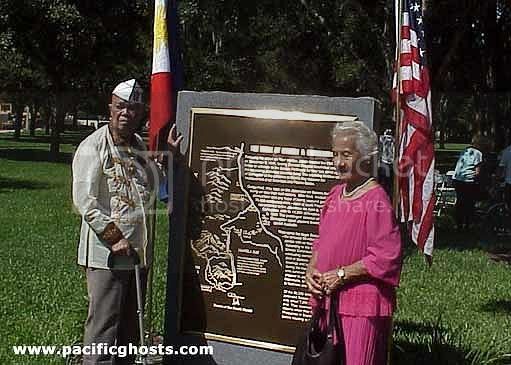 With the help of Filipino guides they hired, Sergeant Morello and the wounded soldiers all showed up in Manila five days later after fleeing through enemy territory. He left DiBenedetti in a Catholic Hospital in Manila and, with the other wounded, made his way by Banca to Corregidor. Later, during February, Sergeant Morello was able to rejoin the company on Bataan. For this action, Sergeant Morello was awarded the Silver Star. 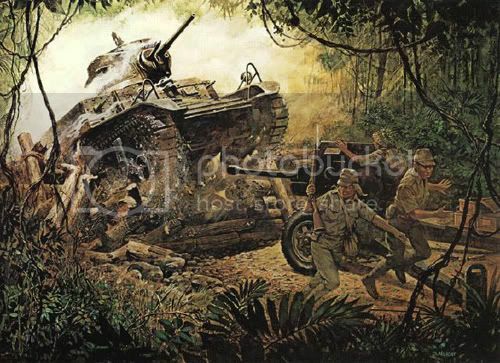 The action described above resulted in the loss of an entire platoon of tanks and five soldiers, and was a grim lesson about the consequences when reconnaissance is ignored and tanks are sent out on a mission, essentially blind.